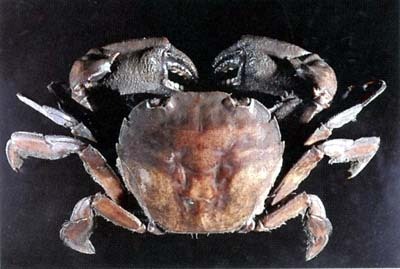 Squarish, flattened crab; flattened legs fringed with long hair on inside edge of last two segments. To 55 mm across. Under rocks in shallow water; from estuarine mangroves up-river to fresh water. Good swimmer. Northern Australia to Brisbane, Qld; East Africa to Japan.